Of course I agree to increase the minimum wage. These days, the cost of living is constantly increasing and the people need money in order to live. 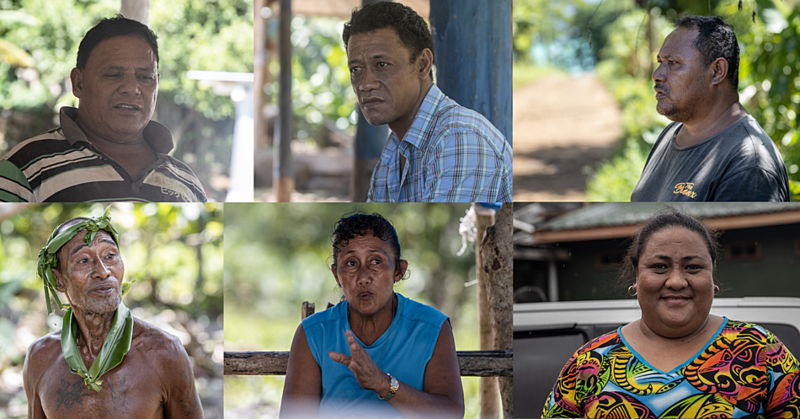 These people’s pays are the biggest help in their families especially when it comes to a fa’alavelave. There needs to be enough money for each person working and I believe the minimum wage should be between $5 to $10, $2.30 is too small. Yes we need to increase the minimum wage. As we all know, now the cost of living is high, especially the school tuitions and N.U.S. registrations increasing. So if those have all increased, we need to lift our minimum wage too to match these increases. University kids who’ve spent so much money on education don’t deserve to get a rate that low as a starting pay. If the cost of living keeps increasing while incomes stay the same, then there is clearly no improvement nor development in the wellbeing of our country. Since it’s currently $2.30 an hour, at least an increase to $4 to $5 would be great. Larry Kalolo Aokusotino, 39, Lalovaea. The public’s opinion on this matter is very important, our opinions should be valued. Raising the minimum wage is something that should be done. The cost of living isn’t cheap and if the prices of commodities are rising, then the people’s earnings should be increased also. Everything nowadays is dependent on your pay. Your shopping depends on your pay; if it isn’t enough then you can’t buy anything. If you love your family, then we should all be agreeing to this matter. Increase the minimum wage. Pastor Taeauga R. Frost & Saeseese R. Frost, Iva and Tanugamanono. The minimum wage is pathetic. It’s too small and too low. I’ve been in New Zealand for a long time and I live in Australia and I know for a fact our country needs a minimum wage raise. You can’t live on $2.30 an hour; they need to put it up to $8-$10 per hour. These Chinese are coming into Samoa employing our young people for cheap labour and they’re getting them only here in Samoa. The rate our people are being paid at is a joke. I feel very sad seeing the way our young people are treated; they need to be given a fair go and that includes giving them money to start with. $2.30 is pretty low. The minimum wage should be raised especially for locals because not everybody can get an education where they’re able to get that piece of paper that will entitle them to get a better job and more money. And I think minimum wage should be raised according to living conditions as well because living costs have risen so much and people living on minimum wage can never really facilitate or actually cover anything that’s basic necessity these days. It should be raised regardless of education and for general locals who can’t afford to live overseas and such. Rev. 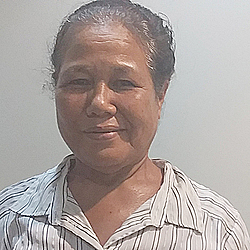 Falevi Petana, 55, Maota. I think there should be an increase of the minimum wage but that’s up to the government because they should already know what to do. At least a $4.00 an hour would be good for our people. By raising the minimum wage, people are happier to work and it ensures that the people are working diligently. Because that’s why there are so many cases of unfaithful workers, the pay is just not enough.